Extras. Information: Everyone who I have updated to the latest version simply put on top of the installed program. When selecting the type of installation - choose the standard installation. Remember about the Internet !!!! Q: Is that necessary to use that COM cable for Actia multi-diag? Q: When I connect the multi-diag access interface to computer, the computer can not find the VCI, what shall I do? 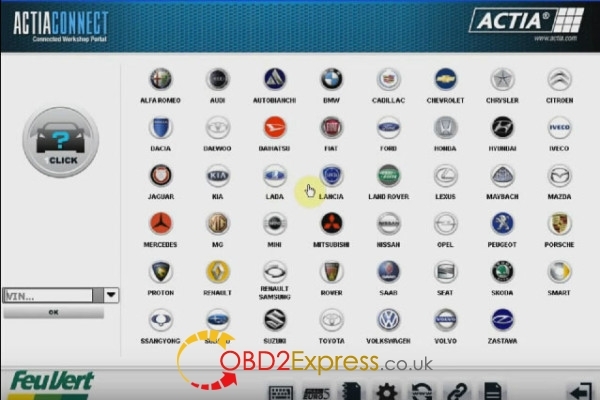 A: You need to connect the device to your car as well that you can find the VCI. Q: What computer system is it compatible? 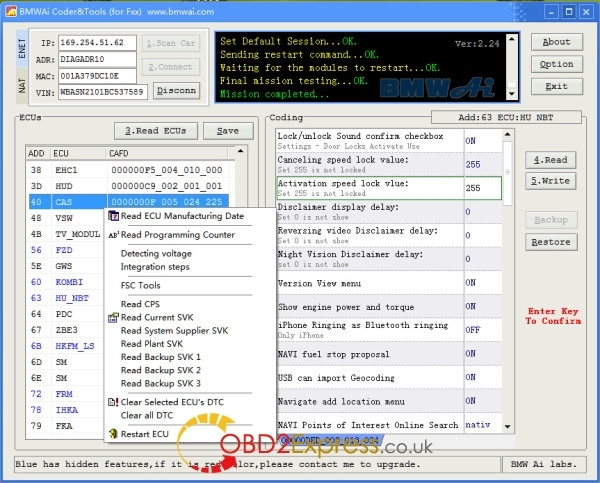 A: OBD2Repair Multi diag access only run it on clean XP system or WIN7 OS. Q: What is the multi-diag vci serial number? Q: Do i need password when using this Multi diag actia? A: Yes. When you install the software, it will give you a code. 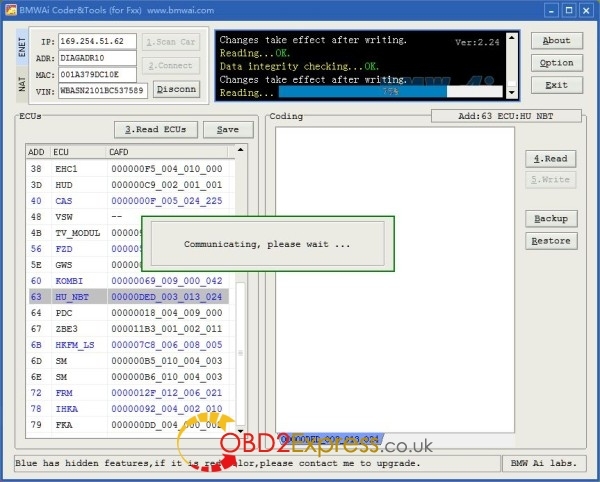 please send this code to http://www.obdexpress.co.uk/, we will send you activation code. Today I used BMWAI with ICOM A2 mux to successfully code the mirrors to fold in from key fob locking, and added 2 extra blinks on the turn signals (when pressed momentarily...like when changing lanes). I also changed settings for sensitivity of auto headlights, I think. I thought it was too sensitive, headlights are on all morning...but I've seen other F30s at that time that don't have headlights on (just halo DRLs). I'll know tomorrow morning if it worked. 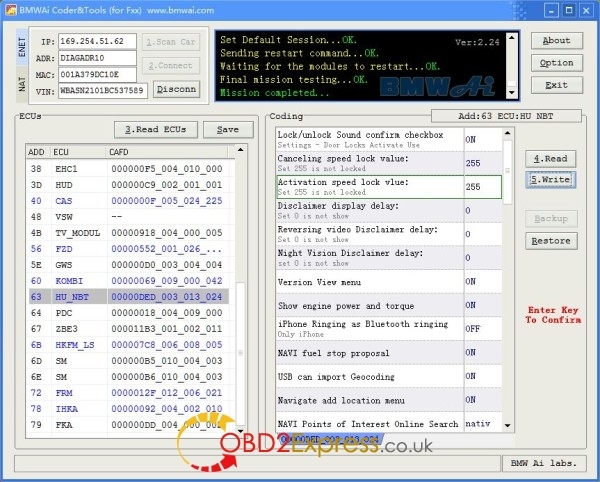 Here is the how-to guide of ETKA 7.5 catalogue installation on Windows xp operation system. 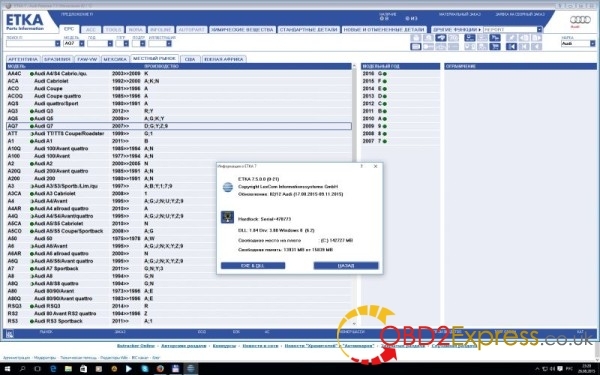 NOTE:VW ETKA 7.5 electronic catalogue MUST be installed on Windows XP, NOT 64 bit system!